Financial support has generously been provided by grants from the Boston Foundation, the New College Ludwig Fund for the Humanities, and the Thomas Whitcombe Greene fund. As a discipline and community, numismatics has made great progress in linking its digital resources under the broad rubric of Linked Open Data. We have taken some bold strides in recent years in bringing online individual coins in collections and the reference works that describe them. Online projects now exist for the whole of Roman coinage, Roman Provincial coinage and increasingly the broader Greek world. The results are visible publicly via such portals as http://nomisma.org and http://numismatics.org/ocre. These websites now make available descriptions of tens of thousands of individual coins and offer a rich vocabulary for describing that corpus. It has always been a goal of this effort to make the vocabularies and digital concepts that underlie this work available to related disciplines. The time seems right to begin to consider how we might integrate excavation material into this network of data. There are clear benefits to excavators, for whom the cataloguing of finds may become easier, and the interpretation of finds becomes immediately possible in a broader context. And there are benefits for numismatists and economic historians too, as they approach coinage from the point of view of broad circulation patterns. The prospect of aggregating the large amounts of data that resides with archeological excavations has now become very clear. The question that faces us is how in practical terms we may begin to deliver the benefits of Linked Open Data approaches to the combined archaeological, numismatic and historical communities. To try to work our way towards an answer to this question, we will be holding a Workshop in Oxford from 24-25 September 2018. 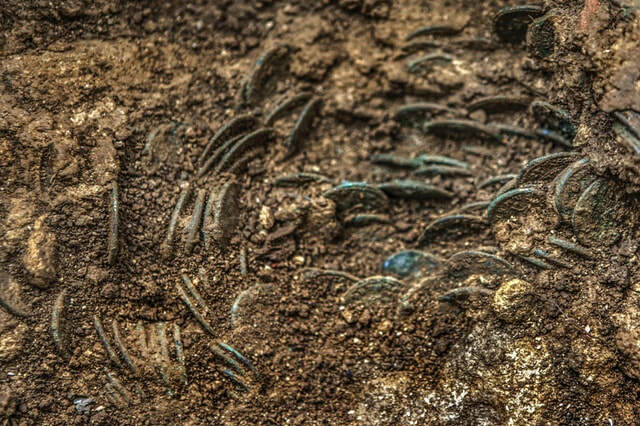 The aim is to initiate conversation with the many archaeological projects excavating or otherwise recording coins so that numismatists, historians and archaeologists can benefit from the work of all communities. In particular, specific approaches to integrating archaeological context into the searchable network of numismatic Linked Open Data will be a focus of conversation. Under the rubric of Nomisma.org, importing numismatic data originating from museum collections is now a well-understood process, and many institutions now contribute to Nomisma, which in turn links to those institutions as the primary source of information about the coins they hold. In the course of the workshop, it is the goal of the organizers to listen to and engage with archaeological projects that are interested in seeing their data appear in the same richly-linked digital environment. Among those attending will be archaeologists working with the Deutsches Archäologisches Institut, the Ecole française d'Athènes, the Bibliothèque nationale de France, the Institut français d'archéologie orientale, Punic coin finds from Sardinia, the Archaeological Exploration of Sardis and the Österreichische Archäologische Institut excavation at Ephesus. All sessions will be held in the McGregor-Matthews Room. Tea and Coffee with be served in the North Undercroft. Lunch will be served in the College Hall.